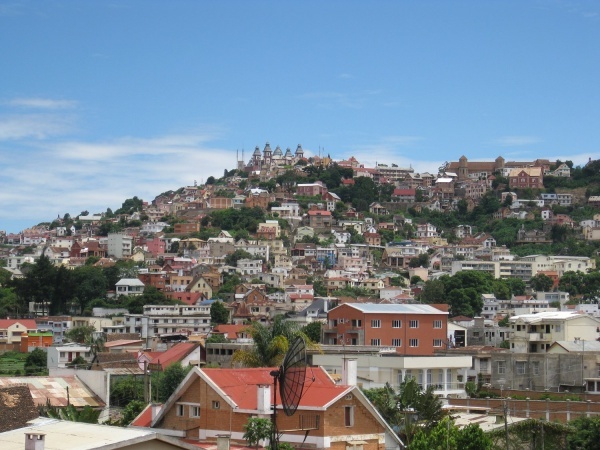 Antananarivo, Tananarive or simply Tana is the capital of Madagascar. Most foreign visitors to the country will pass through the city as almost all international flights to the country connect with its nearby Ivato International Airport. This page includes information on various city attractions, hotels and restaurants etc. If you are accessing this site within Madagascar, this page is open for editing. Feel free to add any local advise here. Ambohimanga - a UNESCO World Heritage Site where the original kings and queens that once united Madagascar lived, about 24km northeast of the capital. 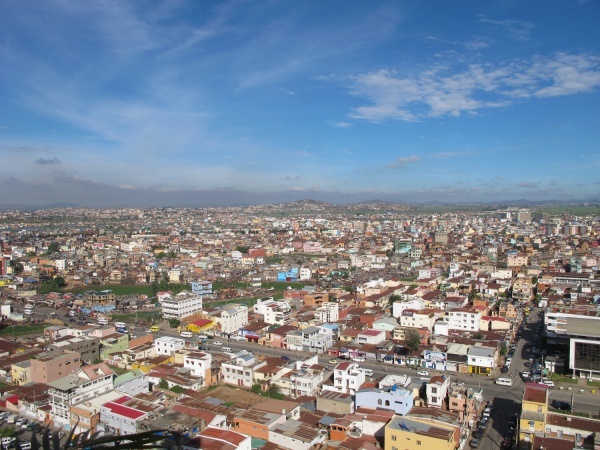 A great view of Antananarivo on clear days. Green Club Vontovorona - one of three Green Club health spas in Madagascar which offers a quick getaway from the capital. 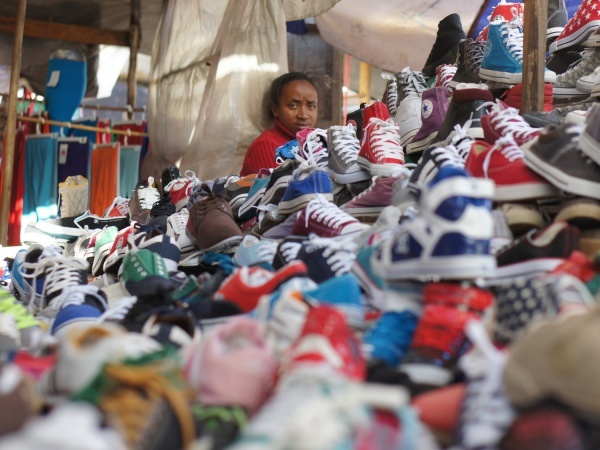 Andravoahangy Market - wood carfings, jewelry and raffia crafts. La City shopping mall with many boutiques and restaurants. Air Madagascar's office that is open on Sundays is located here. Mi-Haja fashion and accessories for men and women. Supreme Center - a large shopping centre with computers and other technical equipment. Eric RASOLOHERY is a taxi driver in Antananarivo sporting a vintage 1958 2CV in immaculate condition. Taxi Driver Richard is a reliable and reasonably priced English speaking taxi driver in the capital. Tina's Tana Taxi is one of only two or three female taxi drivers in Antananarivo who with a big smile and a good sense of humour will likely find you the quickest as well as the most entertaining route to your destination. Madarail is the national intercity rail service which operate freight and passenger trains. Mountain bike rental (part of La Ferme d'Ivato). Madagasikara Airways - a domestic airline since 2015. Private Charter Flights - various small private aircraft operators. Tsaradia - a domestic airline launched in 2018. Air France head office location in Antananarivo. Music and media in Madagascar musicinafrica.net article. This page was last modified on 22 December 2018, at 08:04.